This chapter examines the economy of the late 1970s, as hopeful contenders for the White House make campaign plans. Supply-side economics began to make a mark with many Republican politicians and some Democrats. The problem Keynesian supporters faced was the growing number of people who believed Keynesian economic theory had led to one failure after another. 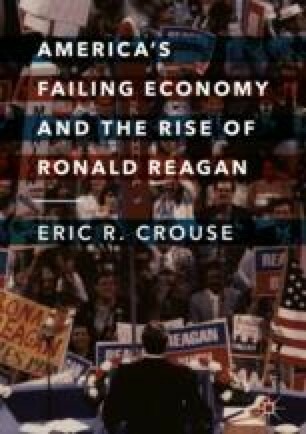 Its content underscores the importance of Ronald Reagan giving political expression to a modern version of classical economics at a time when stagflation was weighing down the economy.